Pulitzer prize winning journalist Amy Marcus spent 6 years following Addi & Cassi, their doctors, and the science community on our journey to find treatments. 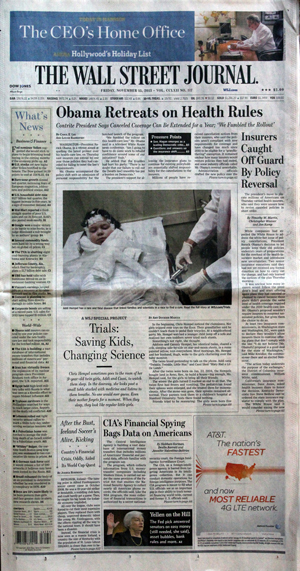 In an unprecedented 10 chapter online e-book, the Wall Street Journal has published this remarkable story. 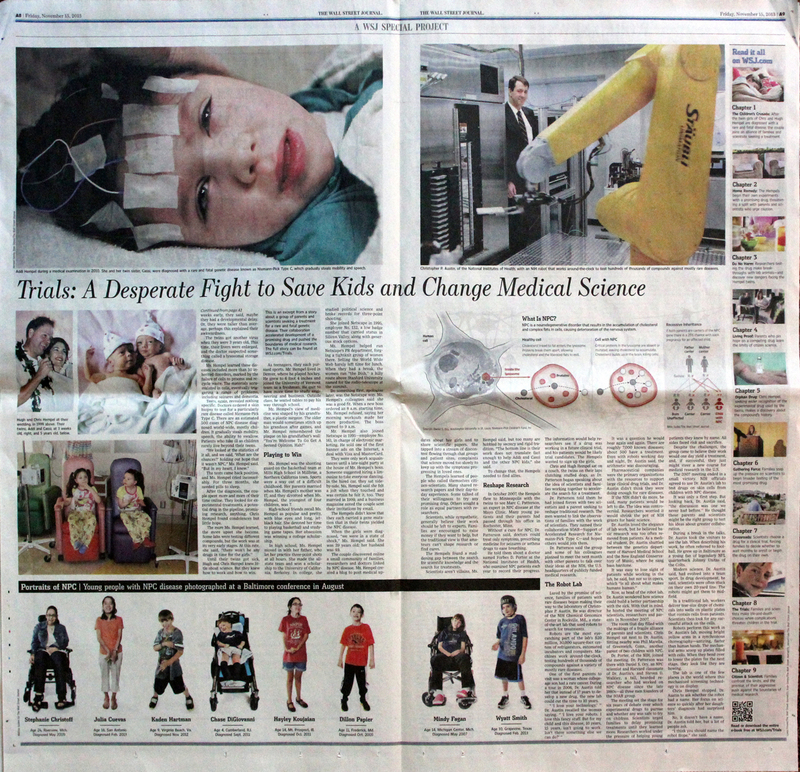 The story (without the amazing videos, audioclips) is featured on the front page of the print version today including an amazing 2 page spread in the center of section A. 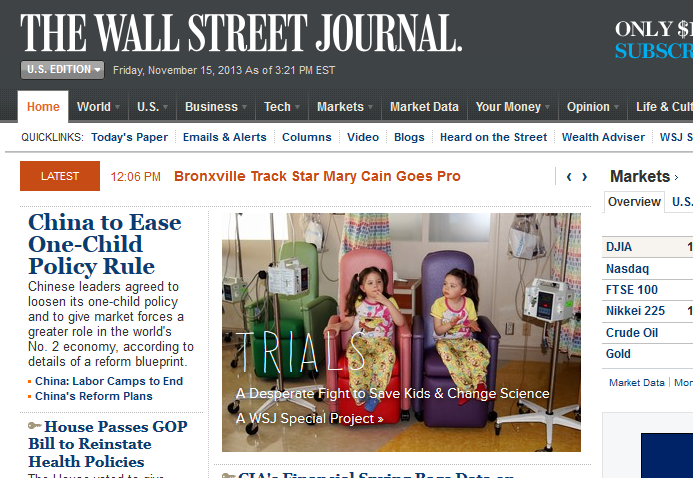 What the Wall Street Journal has done with technology is also absolutely fantastic and unprecedented in so many ways. The story is told with beautiful “images” that are actually moving videos. This project was an amazing effort by literally dozens of dedicated people as the credits and footnotes clearly indicate. We are so fortunate to have the support of so many scientists, doctors, families, the NIH, the FDA and our friends at Johnson & Johnson. As the story so beautifully illustrates, the effort to bring treatments to all NPC patients is indeed an effort of our entire community working together. We would like to especially thank Amy Marcus for her compassionate and compelling treatment of this complex subject. you are just too fantastic. I actually like what you’ve obtained here, certainly like what you’re saying and the way wherein you are saying it. I cant wait to learn far more from you. That is actually a great web site. actually much more well-favored than you may be right now. is one thing to accomplish with Lady gaga!